TOPEKA – Ten non-profits and public housing authorities will share approximately $1.49 million in Tenant Based Rental Assistance (TBRA) to help Kansas families obtain safe, affordable housing of their choice. 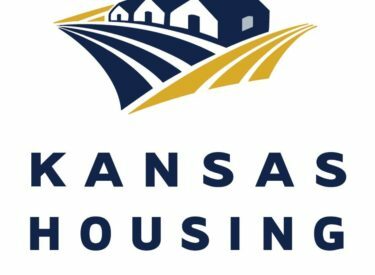 Funded through the federal HOME Investment Partnerships Program (HOME) and administered by Kansas Housing Resources Corporation (KHRC), TBRA helps income-eligible households afford rental subsidies, utility deposits and security deposits. “The awards announced today will help struggling families move out of homelessness and into self-sufficiency,” said Christine Reimler, HOME Division Director. “Without a home, everything is harder. This assistance will help people get back on their feet,” said Reimler. Awarded annually, TBRA grants are based on a community’s housing needs, the number of households estimated to be served and the organization’s experience in administering TBRA funding. Public housing authorities and non-profit organizations may apply for grants of up to $300,000. TBRA programs utilize HOME funds to help individual households rather than subsidizing new affordable rental projects. TBRA assistance varies based on the size and income of the household, and the rent standard. Northeast Kansas Community Action Program, Inc.
Southeast Kansas Community Action Program, Inc.